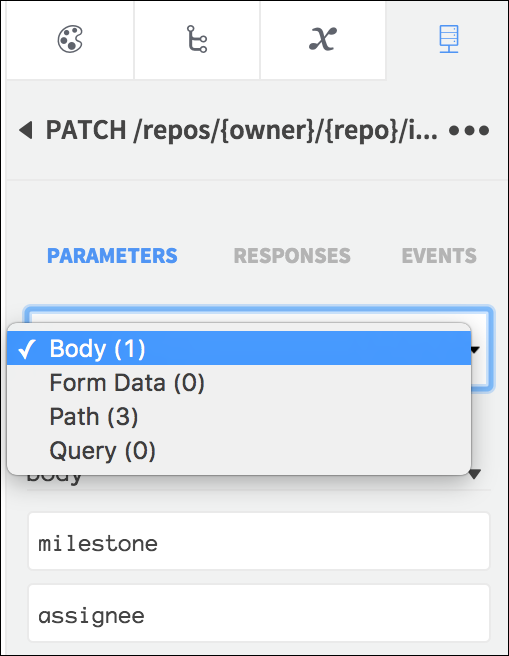 With an API in your project and a request added to the page, click the request to open it. The first section you will see is the Parameters tab. You will see an indicator of the number of each type that a request accepts. 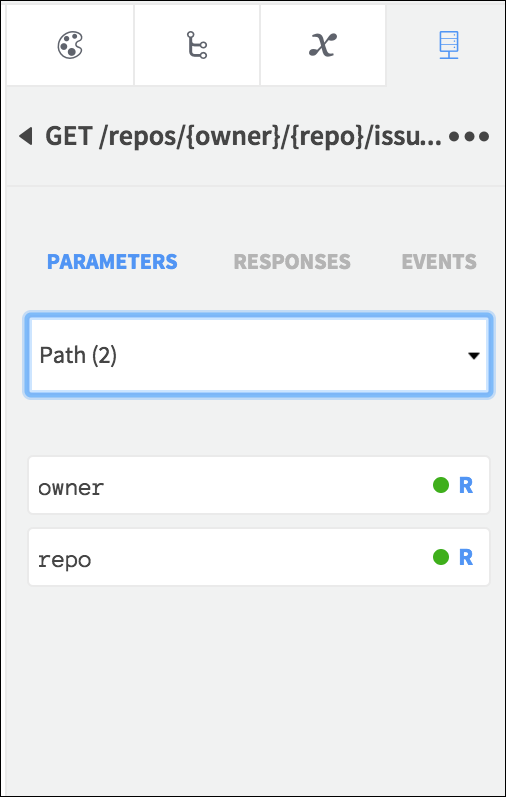 Select a parameter type from the list to specify input values – you can send data from various places in your app, including user input, variables, response data from other requests, and data entered manually. Fields inside an object are nested in the list. Required fields are indicated with the icon. 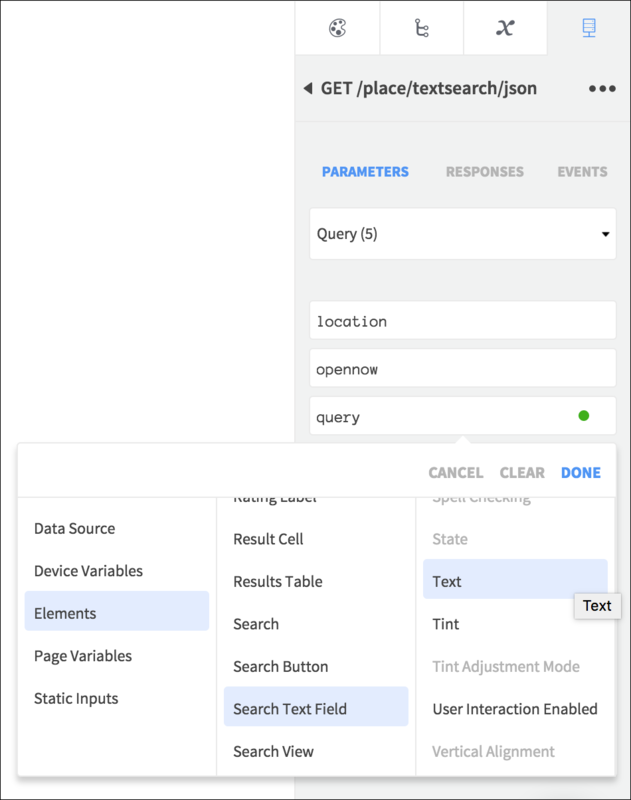 Click a parameter field to set an input source for it – you can pull from different containers, but Dropsource will only allow you to select sources with the required type, for example a Text Field for a string parameter. 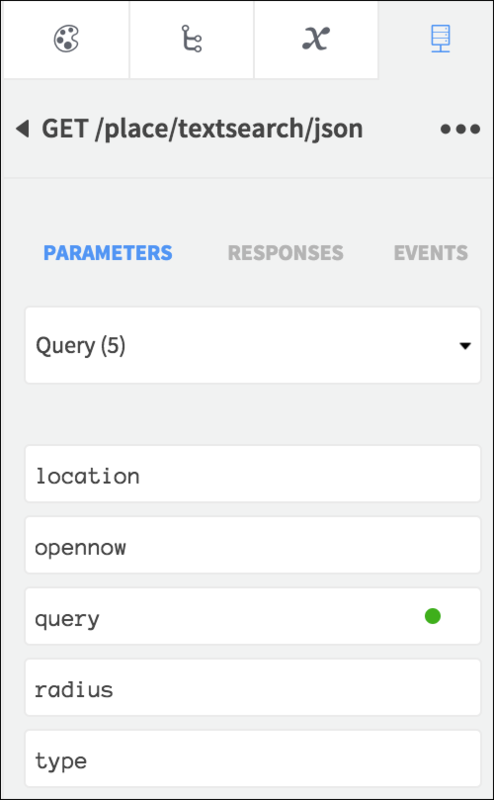 If you’re sending data from user input, you can bind by clicking the field and dragging it onto the relevant Element on the Canvas. Once a field is bound you will see a green dot next to it. You can send images from your app to an API – check out the Photo Saver example app for a complete project that allows the user to upload images.